So I have something of a donut obsession.. 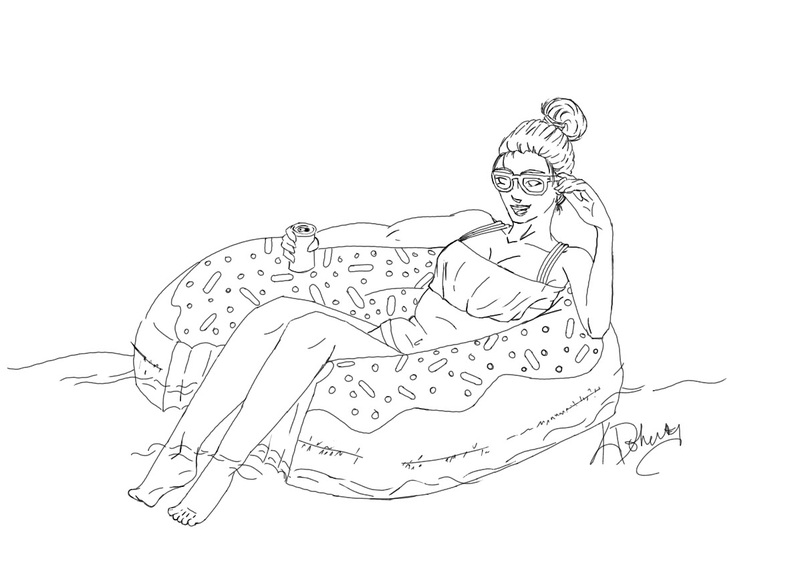 I actually have my own donut floatie, however I have yet to be able to use it. I feel like the little bite mark is perfect to hang your legs over. I hope it works out as well as I imagine it in my head when I actually am able to use it! The angles of her legs were something I redrew multiple times. None of my reference pictures had a floating tube much like this one. I did find one that was someone using the donut floatie, but it wasn’t in the pose that was close to what I wanted. I am really excited to color in the water reflections on the tube and on her legs!